Refreshing your home or office, one surface at a time. Natural stone attracts quite a big of attention. If it is well-maintained, people admire its elegance. However, if it is neglected, dull, dirty, or damaged, it attracts the wrong kind of attention. We can help ensure your marble, limestone, travertine, and granite floors, countertops, shower walls, and other surfaces create a positive impression for family, guests, and patrons. Like any surface, marble, limestone, and travertine can become scratched, chipped, etched, or dulled in appearance with time and use, or perhaps with improper installation. Don’t assume you have to live with the stone as it is or go to the expense of replacing it. Nothing could be further from the truth! At Carter’s Floor and Surface Care, we know how to clean, polish, repair and restore your marble, limestone, travertine, and other natural stone. 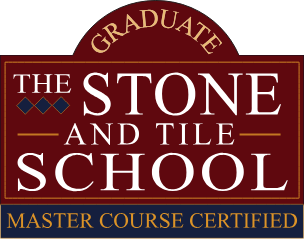 We earned our Master Course Certification from The Stone and Tile School, where people come from around the world to learn the art and science of stone and tile restoration. Tile cleaning can be tough work. Brooms, mops, and scrub brushes can only achieve limited results. Grout cleaning is even harder, especially, if you’re using a toothbrush and elbow grease. But our highly trained technicians know use specialized equipment to safely achieve a deep-down clean without harsh chemicals and harmful abrasives. We can extract deeply embedded dirt, grime, and contaminants to thoroughly clean and sanitize your tile and grout. Once you floors are pristine, you’ll want to keep those grout lines looking great with grout sealer, or better yet, grout color sealer with constant-acting mildewcides and other impressive benefits. It’s possible for a VCT floor to be relatively clean, yet look incredibly dirty because of scratching, dullness, and stains. If your VCT hasn’t been stripped in a while, and seems increasingly difficult to maintain, it’s probably because the old coatings have become worn. We can strip away the old coatings, deep clean the floor using professional strength cleaning solutions and a floor machine mounted with heavy duty scrubbers, apply one or more new coats of finish, and then buff your VCT to a smooth, soft matte or a glorious shine. Our cleaning process extracts debris and grime trapped deep within carpet and upholstery fibers, leaving the texture and appearance beautiful and sanitary. When it comes to maintaining your carpet, one of the most critical areas of focus is the traffic areas. Removing abrasive dirt particles and ground in soil can help prevent excessive, premature wear. Regular professional cleaning can remove what won’t come out of your carpet with vacuuming. Likewise, when it comes to maintaining your upholstery, regular professional cleaning can make a critical difference in the appearance, cleanliness, and level of wear. If you do not have success in cleaning up a spill on your carpet or upholstery, be sure to give us a call right away, before it becomes a permanent stain. If you hardwood floors look dull and lusterless, it’s likely due to a buildup of dirt, soils and contaminants that have become deeply embedded into the fine crevices. We can clean and sanitize your floors, using a floor machine mounted with brushes and commercial strength hardwood floor cleaner designed specifically for hardwood floors. Our hardwood floor refinishing solutions give your floor a brand new look, without leaving behind any dulling residue. 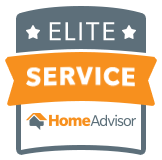 Your hardwood floors can be rejuvenated to their former warmth and elegance with our expert services.